Dollywood is celebrating “The Year of the Family” in 2017 and we were lucky enough to be part of this year’s opening weekend! It’s an honor to be a member of the inaugural panel of Dollywood Insiders. The Dollywood Insiders offer exciting information, tips, and share our favorites. I should add that we are an enthusiastic bunch and I’m grateful to be a part of this talented group of lovely women! Click here to read my bio along with the other fabulous panelists. During our weekend getaway in the beautiful Smoky Mountains, I was reminded of how one person can make such a tremendous difference. Dolly Parton created Dollywood to support the area, generate jobs, and invest in her community. You can see how caring the people are and you feel the genuine kindness. I’m so glad my kids can come to Dollywood and feel that positive and caring vibe. In 2016, Dollywood was The Golden Ticket Award winner for friendliest theme park. The Golden Ticket Awards are essentially the Academy Awards for the amusement industry. While that is a huge achievement, it’s the difference that Dolly Parton has made through Dollywood that is staggering. The current economic impact to the region currently exceeds 1.1 billion annually. I genuinely appreciate all of the warm hospitality that we experience as a family during our time at Dollywood. Mr. Ray in the bakery was kind enough to explain to my son that their approximately 24-pound apple pie cuts up into eight slices that weigh about three pounds each. Our trolley driver Mr. RJ left an impression on us and my kids both asked to ride his trolley next time. He asked all about our favorite rides during our complimentary trolley ride between Dollywood and the DreamMore Resort. He also thanked us for visiting and said that he appreciated all of us for taking the time to visit and talk with him during our trolley ride. It leaves you with a good feeling and makes us want to return to see our friends that all work there. 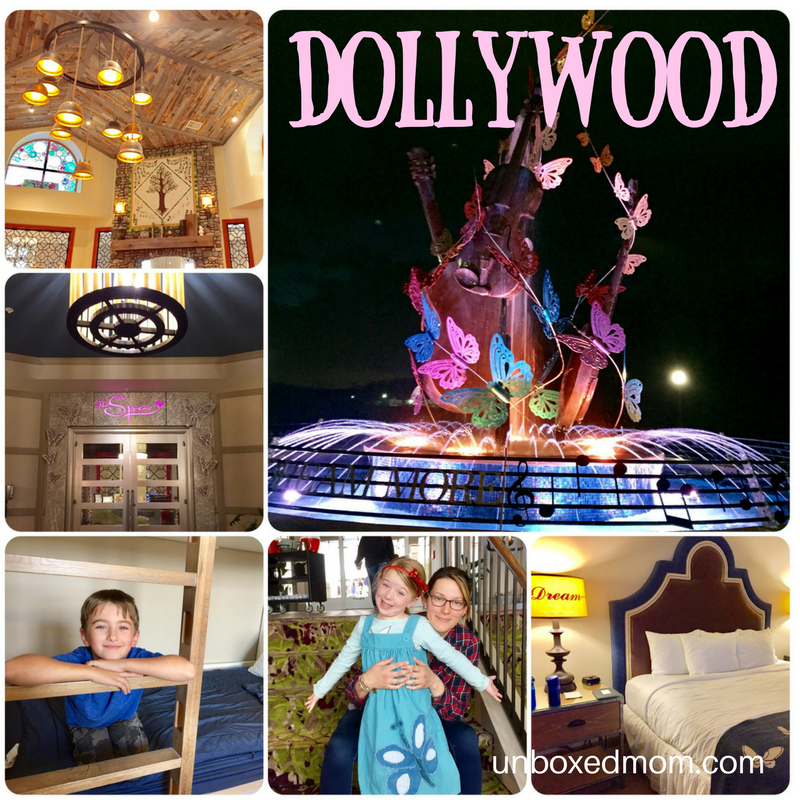 I’m a huge fan of Instagram Stories and pulled them together from our fun family weekend at Dollywood and the Pigeon Forge/Gatlinburg area. Below is a video I curated to catch all of our favorites. 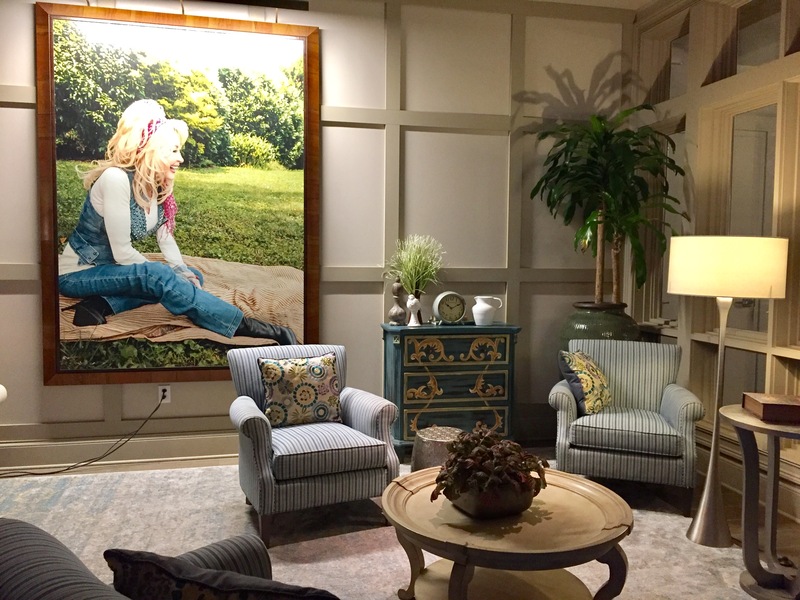 I’ve been asked a lot about the Dollywood DreamMore Resort and wanted to share my opinion with images. This resort combines a feeling of southern charm with comfort. 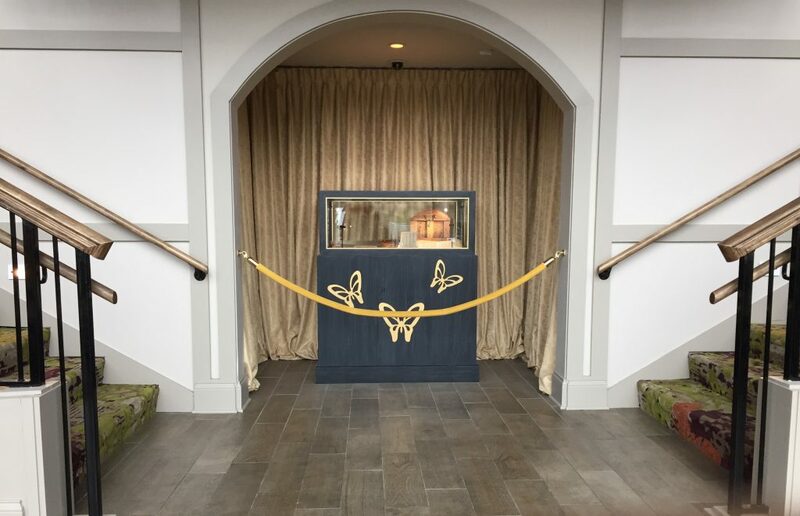 Dolly’s touches are everywhere with the attention to detail, her famous quotes, and her love of butterflies. The DreamMore Resort is entering the second year of operation and is getting better and better. 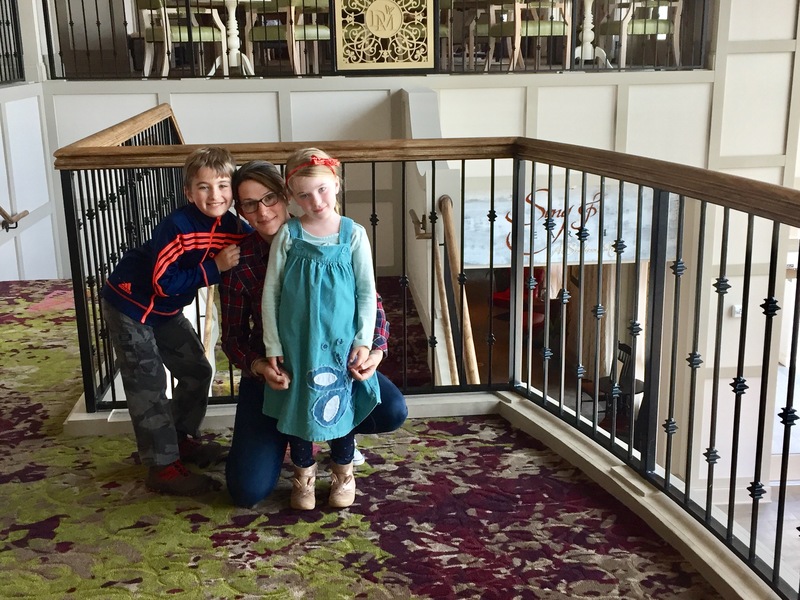 My kids love the comfortable seating areas inside and outside the resort. You can see Dollywood’s Splash Country across the street from this resort pool. The landscaping and exterior grounds are as well appointed as the interior of the resort. 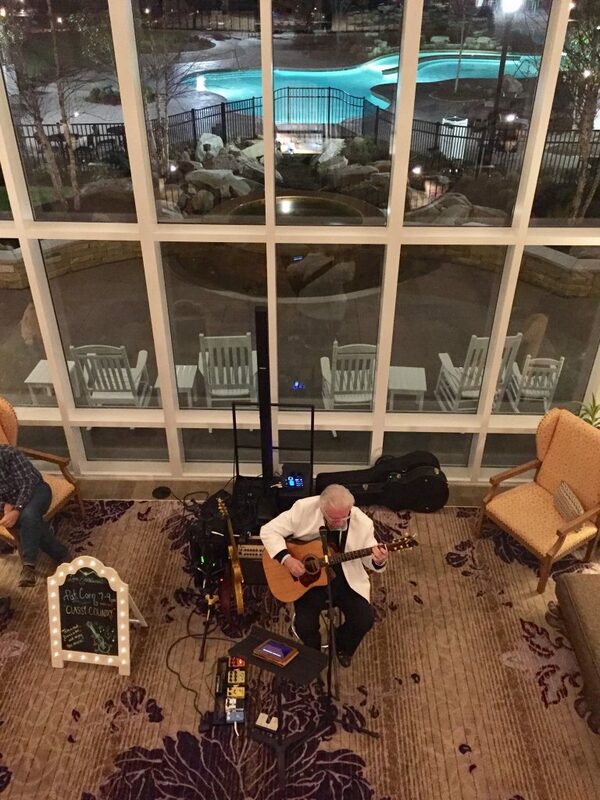 The live music fills the lobby and hallway with an energy. Something I’ve never experienced anywhere else that I’ve repeatedly noticed is that the staff at the DreamMore Resort always seem friendly and in good spirits. The kids love the big breakfast buffet before we get on the road to head back towards Nashville. I’m already looking forward to our next visit to Dollywood and the Smoky Mountains!